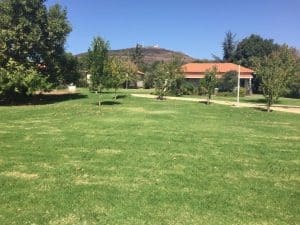 Situated next to Mount Avital, in the northern Golan Heights, El Zivan is a kibbutz that features an outdoor pool, a lush orchard and a small ZOO. There is a barbecue and a children’s playground at guests’ disposal. 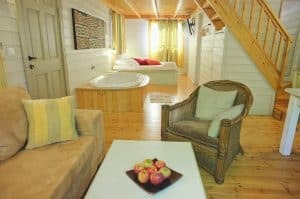 Free Wi-Fi is provided throughout.All accommodation units offer a TV and a private bathroom. 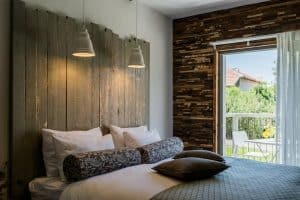 The room is fitted with a desk and chair, while the chalet offers a spacious living and dining area, a fully equipped kitchenette and bedroom with a flat-screen TV and a spa bath. The patio is furnished and overlooks the garden. The kibbutz features numerous activities and attractions. Guests can enjoy fruit picking, tractor-drawn wagon rides and pie making. 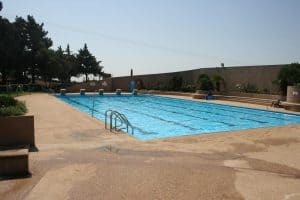 There is a children’s pool and various children activities available on site. Israeli breakfast is available in the main dining hall, while guests can also enjoy the breakfast in their rooms. A grocery store can be reached in 3 minutes on foot. Tours can be arranged upon requests. Kayaking can be enjoyed 30 minutes from the El Zivan kibbutz. Buses from Hatzor leave for Ein Zivan each day. This property also has one of the best-rated locations in Ein Zivan! Guests are happier about it compared to other properties in the area. This property is also rated for the best value in Ein Zivan! Guests are getting more for their money when compared to other properties in this city.